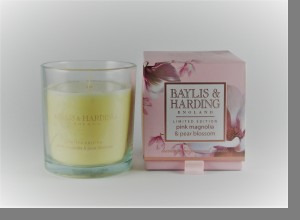 A delight for the senses, this limited edition luxury fragranced candle from Baylis & Harding makes a perfect gift. 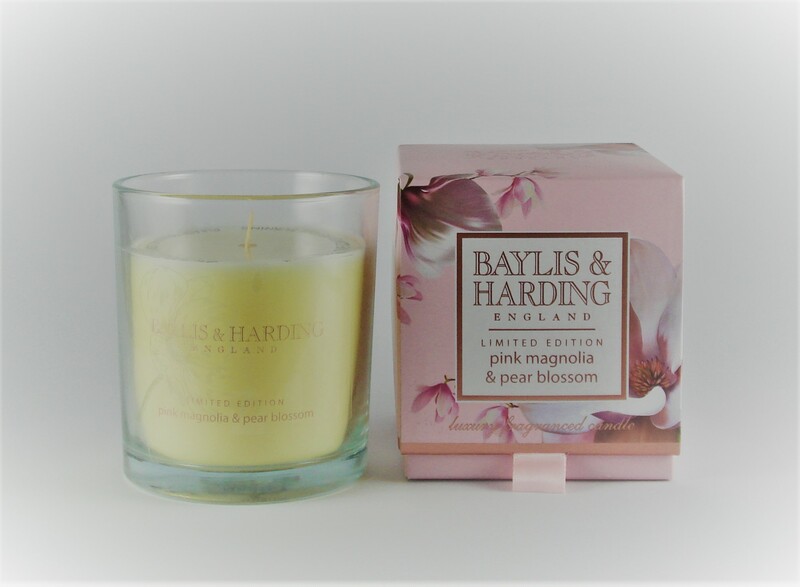 The candle itself is in a glass jar and is beautifully presented in a pink box with gold trim and writing, decorated with magnolia and pear blossom flowers. Please remember to read all safety information before lighting.